SPG Concrete Resurfacing specializes in: Polished concrete, Decorative Epoxy floor systems including metallic and other custom. 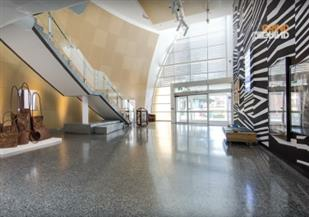 Decorative Epoxy Flake floor Highly durable, water proof slip resistant, and looks great ? perfect for garages, patios, public toilets, butchers, etc Custom trowelled overlay. Cement topping 3-5mm thick, can be textured and stained to look like rock, wood, burnished concrete, etc Preparation grinding including coating and glue removal. Subfloor remedial works including flattening for flooring. A lifetime Certi-Shine floor. Its concrete redefined. Certi-Shine transforms concrete into a highly-polished, wear resistant, decorative floor guaranteed to change your definition of concrete flooring. Certi- Shine can lift most concrete surfaces in industrial, commercial and residential settings. Certi - Shine is suitable for multiple applications including food markets and courts, restaurants, malls, hotels, stadiums, kitchens, pool decks, museums, schools, counter tops, retail and entertainment facilities. Or all of the above where a decorative color is desired. Concrete Applications are experienced concreter's specialising in providing superior concrete finishes throughout Brisbane's Northside. We produce aesthetically pleasing concrete finishes on concrete floors, bench tops, counter tops, stairs and hardscapes, as well as driveways, patios, pergola's and pool surrounds. Through the use of polished concrete techniques, stencil, patterns, exposed aggregate and decorative concrete applications we provide their customers and residential building clientele with a unique finish to be proud of. 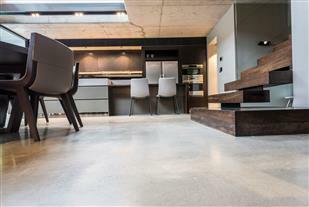 With over 15 years experience we can help you transform your home with a range of beautiful concrete finishes. We are a family owned and run business that services Perth and it?s surrounding suburbs. We specialise in decorative concreting, including exposed aggregate, honed & polished aggregate, liquid limestone and coloured concrete. Go with the right people for your outdoor investment that will look as good in the future as it does when its first completed. Call today and have your place ready for summer. From humble beginnings to one of Sydney's most sought after polishing firms, Perfect Polishing has been transformed from the once small family business to the prestigous, ever-growing polishing powerhouse. Almost twenty years ago, Perfect Polishing was founded by Peter and Josephine and was predominantly involved with the polishing of small private properties. Today Perfect Polishing has evolved into a multi-faceted polishing firm, partnered with an array of Australia's biggest construction firms, casinos, councils, government buildings, hotels and resorts; as well as pertaining the maintenance contract at Sydney's Star Casino. As well as these current partnerships and contracts, Perfect Polishing has done work for a variety of different large organisations within Sydney, Melbourne, Canberra, Townsville, Brisbane and Gold Coast. 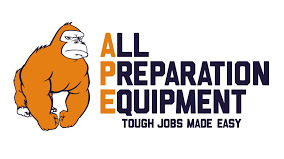 All Preparation Equipment is a leading supplier of tough, reliable products to the concrete surface preparation and coating industry. Our experienced team encounters many types of concrete preparation jobs, and can offer expert advice and insights that will help you work more effectively to get your job done in the quickest, most effective way. Advanced Coating is a locally owned and operated business serving Warrnambool, and surrounding areas. We cater to clients throughout the Western District of Victoria, providing home and business owners with the finest flooring treatments on the market for protection and a great look. At ACS Advanced Coating, we take a comprehensive approach to the flooring industry and offer a range of concrete polishing and floor coating systems to suit any need. 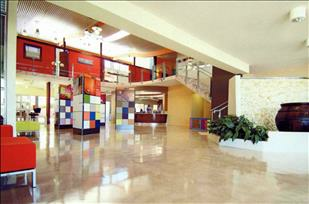 Creative Textured Coatings are Adelaides best choice for quality concrete resurfacing and repairs. Our experienced staff know how to bring your damaged concrete back to life. If you have existing concrete in need of repairs, trust us to create an effective, affordable solution that will suit your needs. 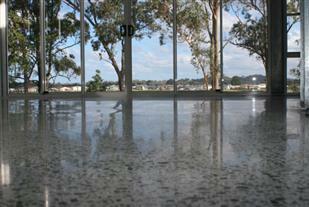 We offer a range of coating options on all existing concrete floors. From indoors to outdoors, we work on all types of concrete floors. Keystone Products is Australia's only manufacturer of grinding & polishing stones used with concrete, stone & monumental masonry. Our stones fit most specialized grinding and polishing machines, smaller contractors' floor machines and hand held tools and are commonly used for new surfaces and for refurbishing older, worn tiles, concrete and terrazzo flooring.